We are public adjusters ready to assist the insured with a covered insurance loss in Fort Myers, Cape Coral, and all of Lee County. Has your sewer backup claim been denied or has your water leak not been fully paid in Fort Myers or Cape Coral? Did your insurance company suggest your water pipe has been leaking for more than 14 days? AA Florida Public Adjusting Agency, LLC has assisted homeowners with these types of losses. On a number of occasions, our client's claim has been denied or under paid, and our company assisted in procuring a fair settlement. Knowing your policy coverage is extremely important, but knowing what your policy does not cover is sometimes even more important. 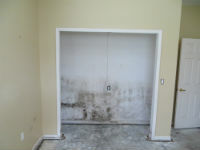 Do you know if your policy covers for mold or if there is a policy sublimit on water damage? Some policies will not pay for water damage if your home has been vacant for more than 30 days. Understanding what vacant means is important. If you need an expert insurance adjuster, give us a call. We work on a contingency basis and only get paid when you do. We work all of Lee County, including: Sanibel, Captiva, Fort Myers Beach, Cape Coral, Matlacha, Pine Island, James City, Lehigh Acres, Bonita Springs and Marco Island.